Research has shown that children who read at home perform better in school and make better grades. Our mission is to provide the resources needed to assist our families in reaching their maximum educational, financial, and social potential. 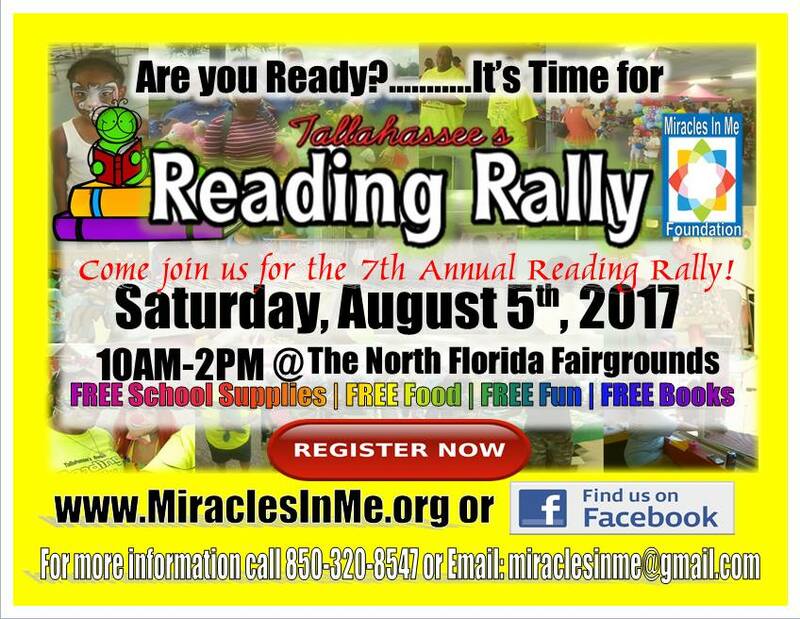 If you or your church, business, organization, or child care facility would like to be apart of the Reading Rally please complete a booth application and fax it to 850-383-9881. Booth operation is free of charge and should contain child friendly activities and/or literature. Join Capital City Bank, Pepsi, Cumulus Broadcast, etc, by becoming a sponsor the Reading Rally. There are many ways to Sponsor this wonderful event. Download a Sponsorship Application by clicking the link below.